An anthology of an emerging wave of South Asian writing that unashamedly explores issues of otherness and marginalisation. 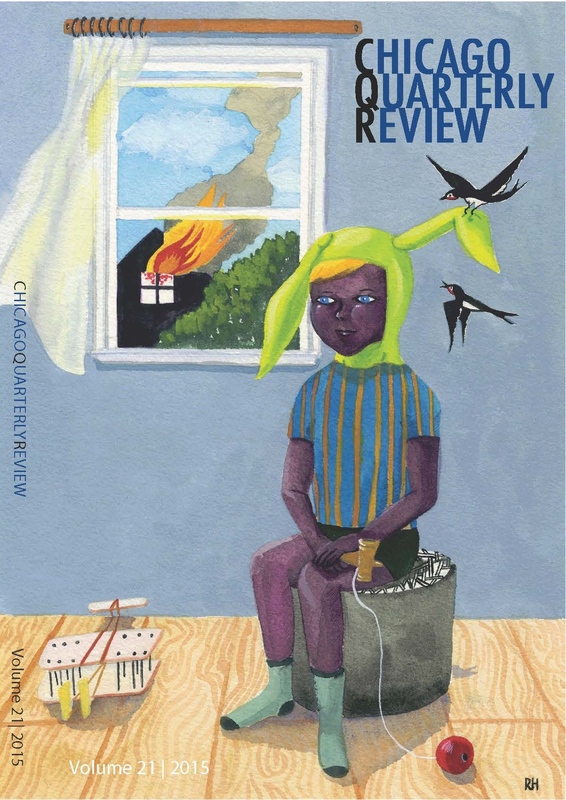 The rich hues that paint the cover of independent literary journal Chicago Quarterly Review’s South Asian American Issue are colours typically associated with South Asian cultures: reds, oranges, blues, and greens; falling raindrops symbolising narratives of loss and displacement that are expected of South Asian writers. The real surprise lies inside, within the collection of short stories, poems, and essays edited and curated by Moazzam Sheikh. The stories stretch across continents: the South Asian homelands represented as much as the migrant’s experience in the Northern Hemisphere. This is an anthology of an emerging wave of South Asian writing, with every author and poet appearing to be intent on pushing back the parameters of literary space conceded to ‘brown’ writers. 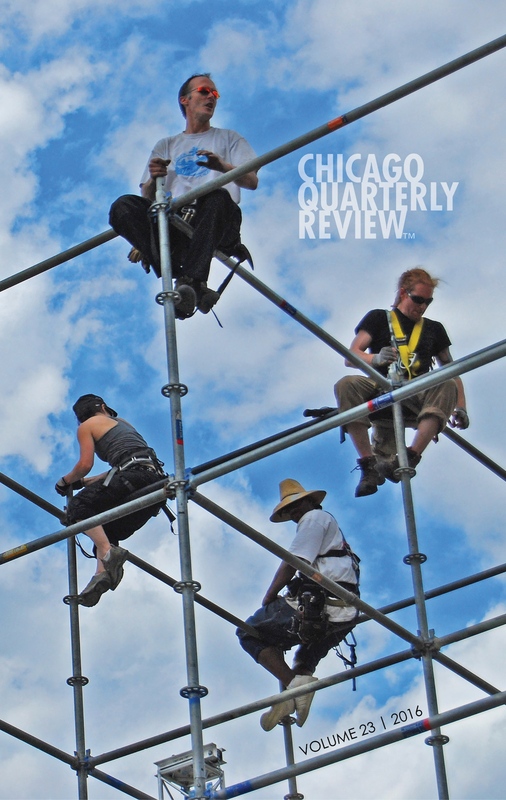 In his introduction to the volume, Chicago Quarterly Review’s (CQR) guest editor Sheikh notes that South Asian American writers are generally a ‘fractured bunch’, their ‘competing master narratives’ a stumbling block in achieving a cohesive identity. Differences exist within and outside, with stereotyping placing the South Asian American writer and their art in a convenient little box labelled ‘brown’. The CQR’s special edition picks up that perception and shakes it to display the overlapping fluid identities of a South Asian American as an artist, an immigrant, an American, and a South Asian. For far too long, South Asian writers have been grudged entry into the sphere of English language writing due to their lineage. But the 40-plus artists featured in this anthology are having none of that. While the tropes of alienation and displacement do make their appearance, the invocation of pity has disappeared. Writings that explore issues of otherness and marginalisation are unashamed, irreverent even, in owning English as their medium of expression. Befittingly, CQR’s South Asian American Issue is a compilation of intense thought. Each entry touches upon a different vulnerability of humankind. This is the strength of the collection: universal in emotion, South Asian in character. Language and the appropriation of expression continue to be at the heart of the South Asian experience abroad. 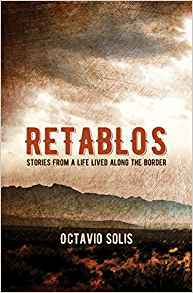 However, the writings in this collection attempt to step beyond the post-colonial identity and locate their bearings in a global context. Neelanjana Banerjee’s story about a reluctant Indian’s part in Operation Desert Storm, “The Songs in Sam’s Head” finds space alongside Madhushree Ghosh’s poignant essay, “#Aylan, Or How to Treat Refugees”. Violence rears its ugly head too, retold in Pireeni Sundaralingam’s poems, “Lynch Mob” and “The Gecko Remembers”, as laments to war-torn Sri Lanka, and against the individual as the molestation of a little girl in Sayantani DasGupta’s non-fiction “The Butcher Shop of New Delhi”. Tanu Mehrotra Wakefield uses the familiar South Asian attachment to traditional music in her poem “Threading the Ghazal” to capture what Neelanjana Banerjee describes as being “giddy with America”. Dipika Mukherjee’s “Descent from the Winter Garden” holds as true for the Black Lives Matter movement as for socio-political turmoil elsewhere in the world. Sikha Malaviya spins strange odes to India’s underbelly and Vikas Menon ponders upon cultural practices in sharp-edged words. Sophia Naz’s poetry takes this play on words a bit further; juxtaposing Urdu meanings onto English words and vice versa to create poetical paragraphs that mock the reader. The list of writers is long and varied, all attempting to define their multifaceted identities in a world of shifting reality. The emotionally charged writings are punctuated by the inclusion of sketches and photographs, the visual art acting as a reprieve from the heaviness of ‘cultural reconstruction and self-knowledge’. That is not to say that one art form is disconnected from the other. Rather, the fragmented pieces of Sadia Uqaili’s collages overlay each other; transgressing lines much like the identities of the writers showcased in the issue. Faisal Mohyuddin’s ink on paper “Caliban”, borrows its title and subject from Shakespeare’s The Tempest, once again hinting at the universality of this edition of South Asian American writings. The modern South Asian writer is caught at the crossroads of what Nayomi Munaweera calls “the story of what it means to be both a child of a mother and a child of history” (What Lies Between Us: A Novel). 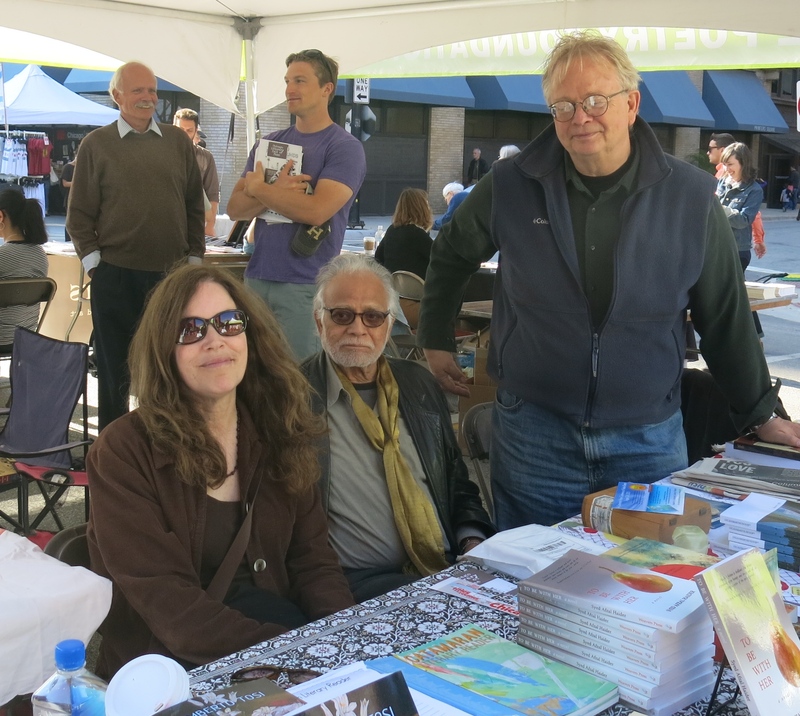 Befittingly, CQR’s South Asian American Issue is a compilation of intense thought. Each entry touches upon a different vulnerability of humankind. This is the strength of the collection: universal in emotion, South Asian in character. It is not an anthology for the reader looking for saffron-scented sweet words. It is an unapologetic scrutiny of modern life. Highly recommended. 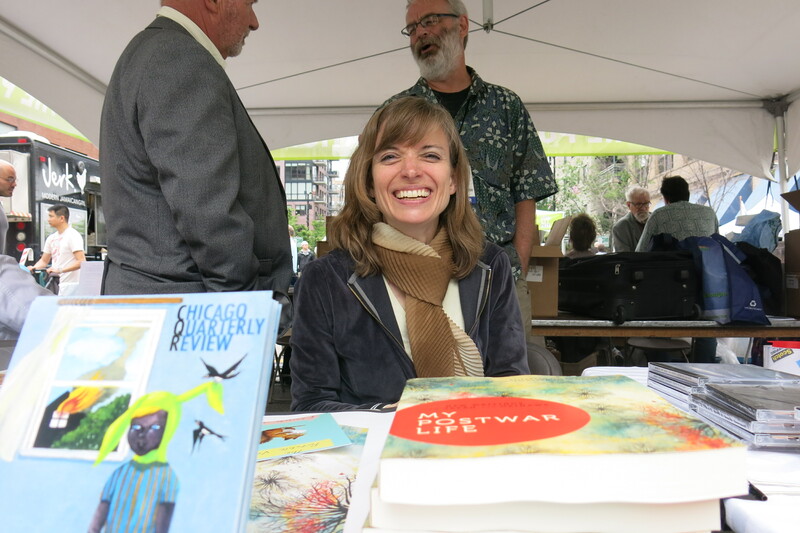 We’re thrilled to announce that “Campoamor” by Patricia Engel, published in Chicago Quarterly Review #23, has been chosen for The Best American Short Stories 2017!! Thanks to the Global Voices Performing Arts and Lecture Series at the International House at the University of Chicago for hosting this April 4, 2017 reading to celebrate the South Asian American issue of the Chicago Quarterly Review! Featuring Syed Afzal Haider, Faisal Mohyuddin, Dipika Mukherjee, Toni Nealie, Ravibala Shenoy, and Sachin Waikar, moderated by CQR editor Elizabeth McKenzie. Happy pub date to the Chicago Quarterly Review’s South Asian American Issue! Featuring Vidhu Aggarwal, Kazim Ali, Meher Ali, Neelanjana Banerjee, Nadia Chaney, Sayantani Dasgupta, Tara Dorabji, Ali Eteraz, Saadia Faruqi, Mala Gaonkar, Madhushree Ghosh, Ro Gunetilleke, S. Afzal Haider, Syed Ishaq Haider, Minal Hajratwala, Soniah Kamal, Kirun Kapur, Maya Khosla, Swati Khurana, Waqas Khwaja, Anu Kumar, Aditi Machado, Amit Majmudar, Shikha Malaviya, Zafar Malik, Vikas Menon, Faisal Mohyuddin, Dipika Mukherjee, Somnath Mukherji, Naomi Munaweera, Shabnam Nadiya, Shivani Narang, Ifti Nasim, Sophia Naz, Toni Nealie, Mahmud Rahman, Reema Rajbanshi, Roshni Rustomji-Kerns, Chaitali Sen, Moazzam Sheikh, Ravibala Shenoy, Ranbir Singh Sidhu, Pireeni Sundaralingam, Sadia Uqaili, Sachin Waikar, Tanu Mehrotra Wakefield. Contributors include: Robin Barber, Andrew W.M. Beierle, J. 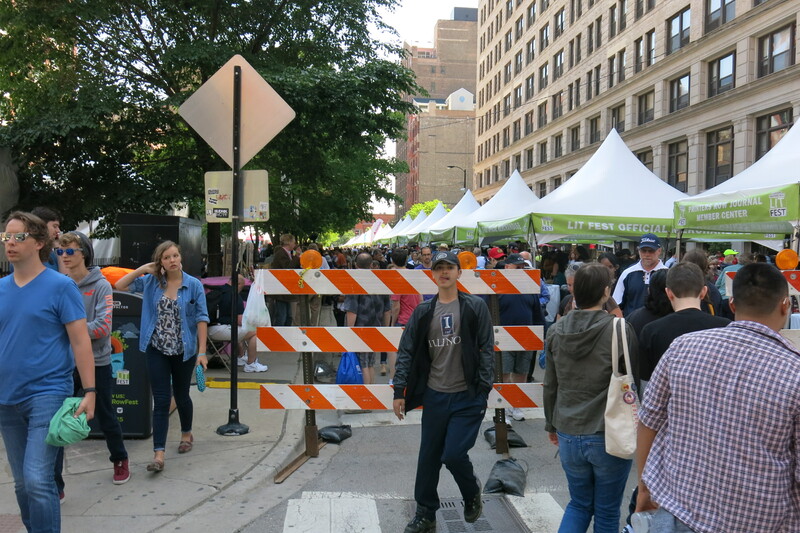 A. Bernstein, Lisa Bloomfield, J. Scott Brownlee, Claudia Buckholts, Lucas Carpenter, Dounia Choukri, Emily Culliton, Patricia Engel, Robin Estrin, Katharine Haake, Stanley Horowitz, Michael Hutchison, Greg Jenkins, Charles Johnson, Laura Jok, David Kear, Robert Kerwin, Jen Knox, Chuck Kramer, Shane Lake, Dorianne Laux, Thomas Lee, Joan Li, Margit Liesche, Joseph Millar, Rod Val Moore, Eireene Nealand, W.P. Osborn, Cassandra Passarelli, Harry Mark Petrakis, Sofi Stambo, Jim Swierzynski, Jake Tuck, and Ian Randall Wilson. 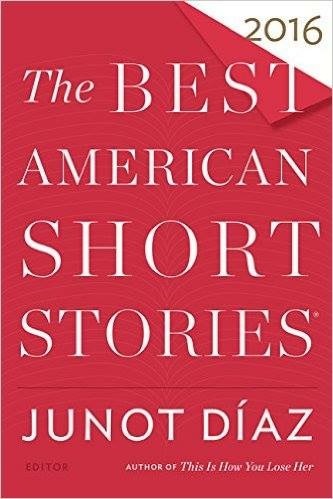 We’re proud to be included in the Notable Stories of the Year in Best American Short Stories, edited by Junot Diaz. 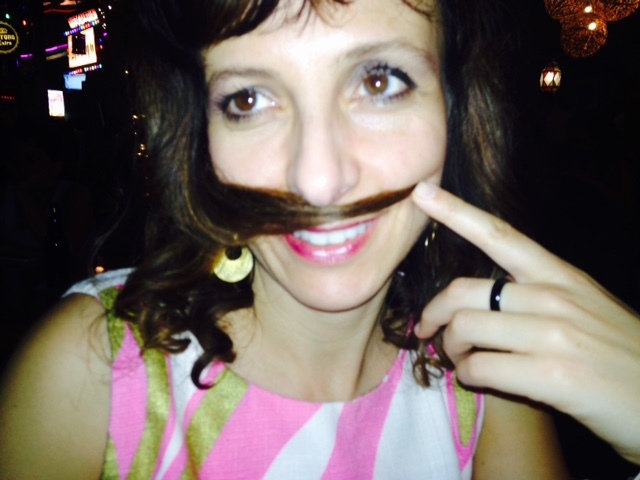 Congratulations Katherine Heiny for “Cranberry Relish” and Octavio Solis for “Sonia’s New Smile”–both published in CQR #19! 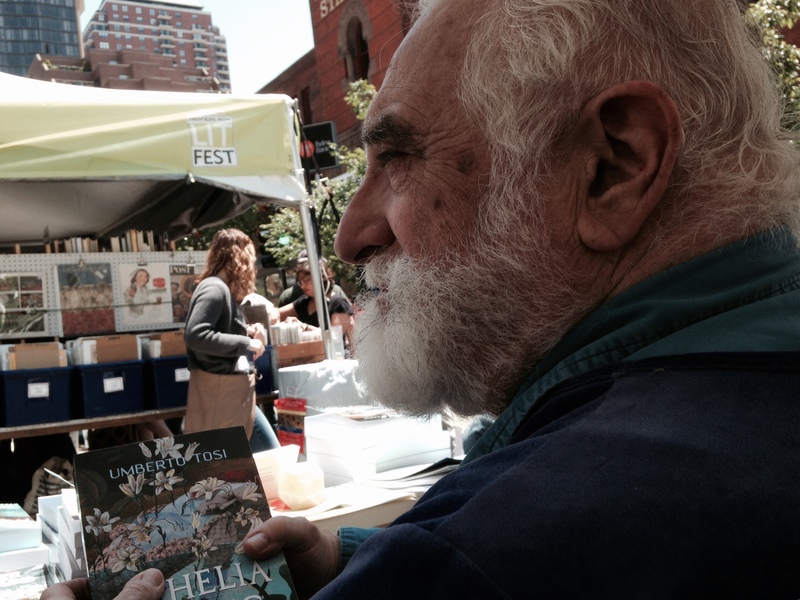 To purchase a copy, click here! 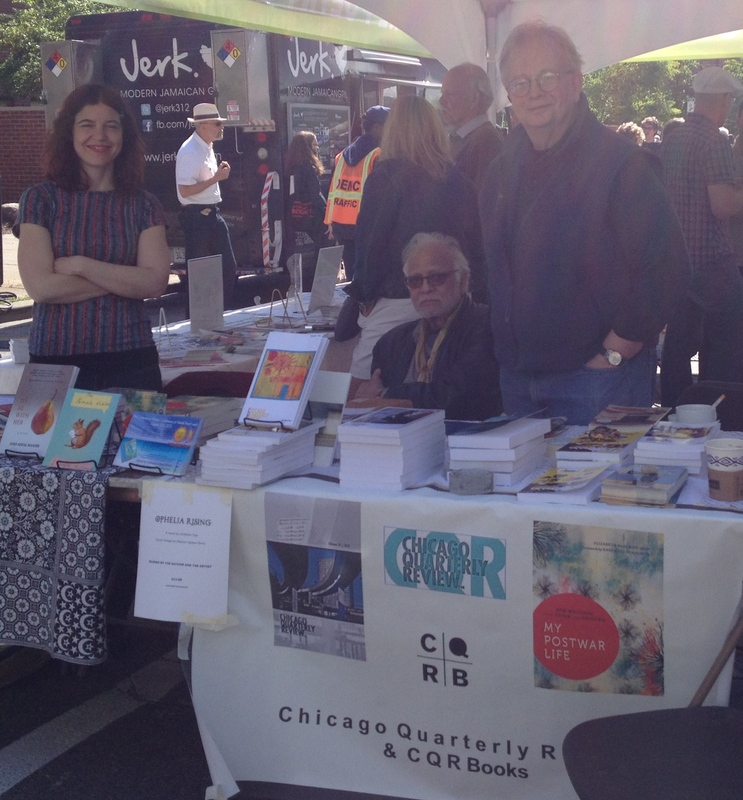 CQR editors Elizabeth McKenzie and Syed Haider with CQR friend and contributor Gary Houston in the Poetry Foundation tent, Printers Row. 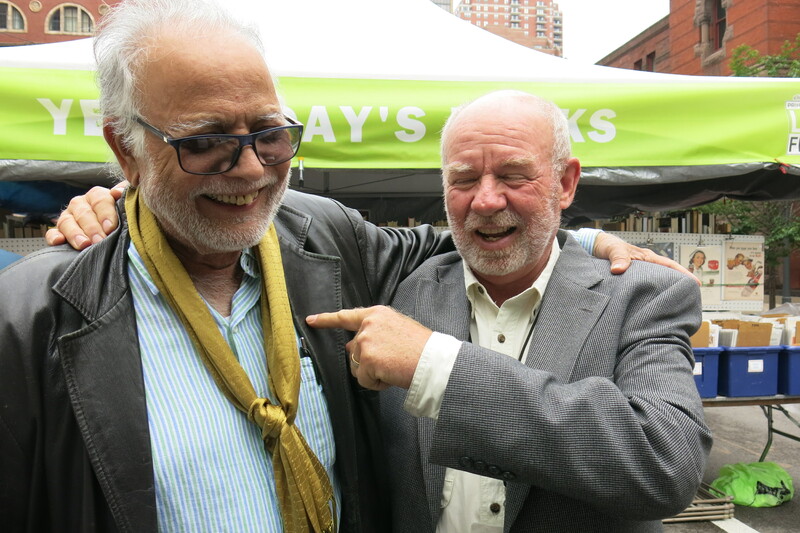 Syed Haider with CQR contributor Peter Ferry, celebrating the release of Ferry’s new novel Old Heart. 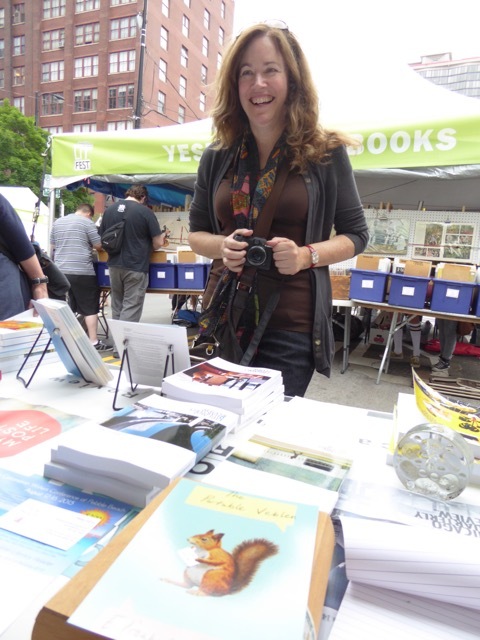 Chicago Quarterly Review at Printer’s Row! 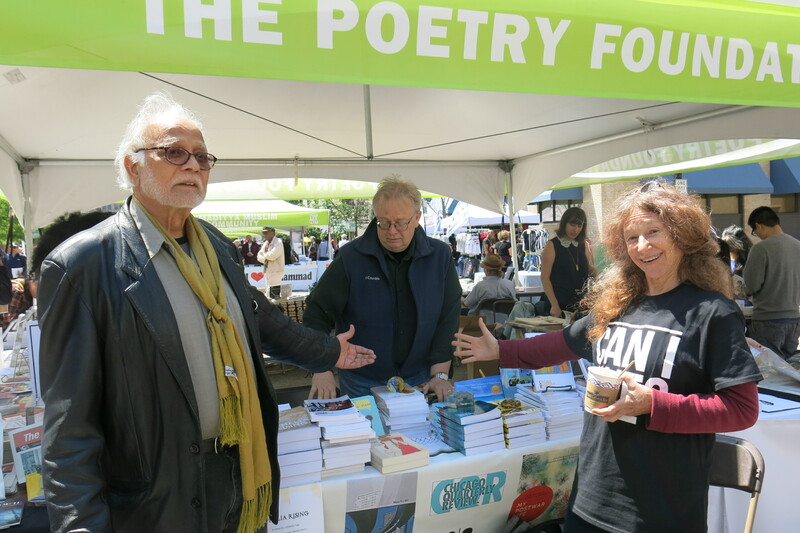 Quadrant 3 covers the southern half of Dearborn St. between Harrison St. and Polk St and the two short blocks of Polk St. between S. Plymouth St. and S. Federal St. Look for the Poetry Foundation banner.